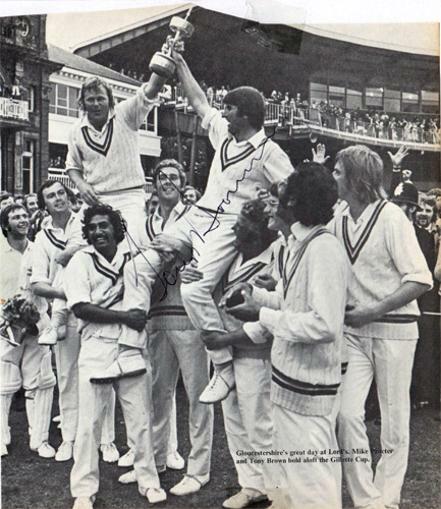 B&W pic of the team celebrating their victory at Lord's signed by captain and player of the match Tony Brown. 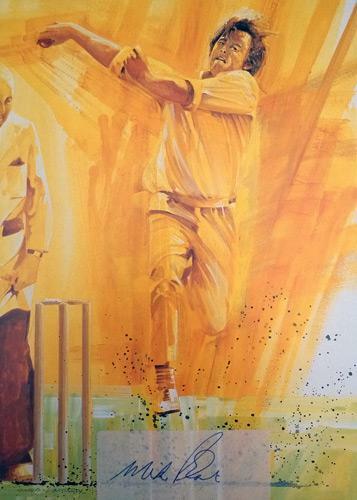 Approx size: 18 x 19 cms. 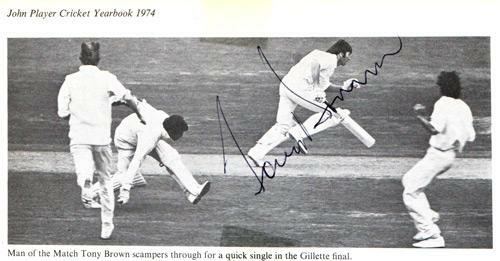 TONY BROWN signed B&W pic of him in action during the 1973 Gillette Cup Final. 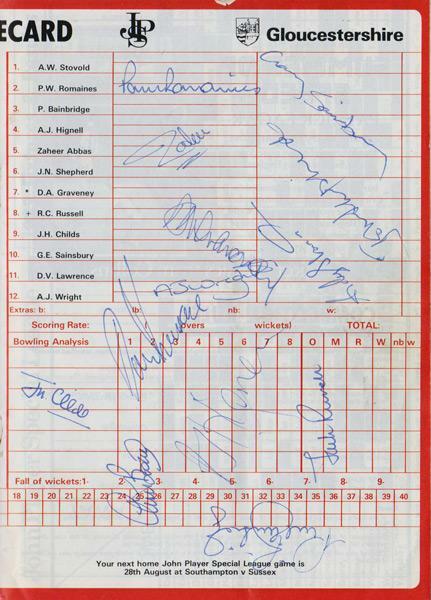 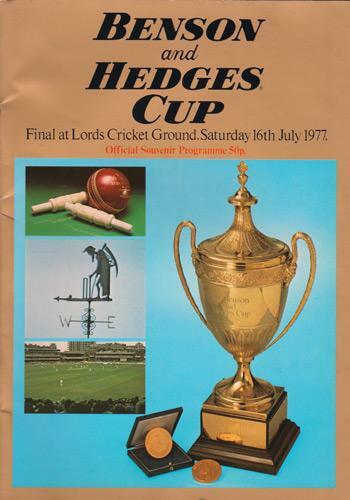 Page signed by 13 players: Andy Stovold, Paul Romaines, Phil Bainbridge, Alistair Hignell, Zaheer Abbas, John Shepherd, David Graveney, Jack Russell, John Childs, Gary Sainsbury, Syd Lawrence, Tony Wright + Chris Broad. 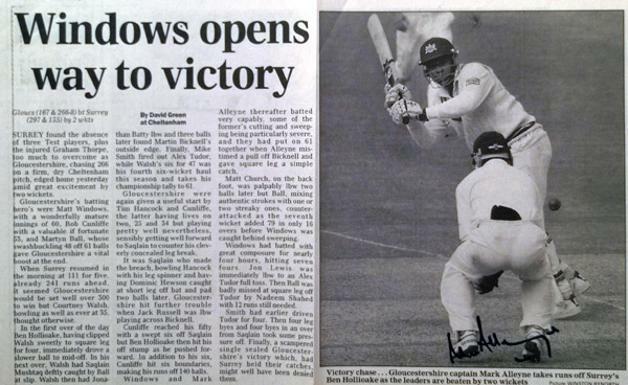 Gloucestershire beat Kent by 64 runs. 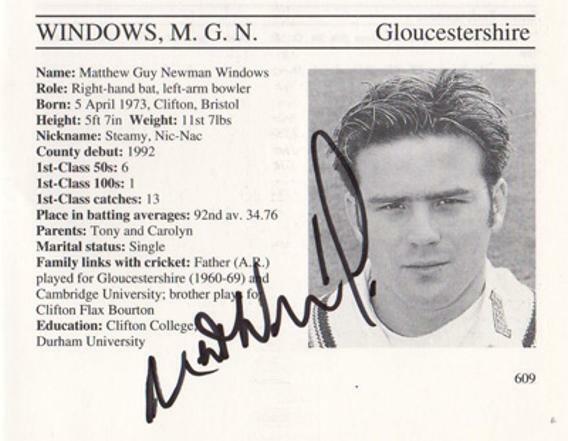 Gloucs CCC 237/6 Kent 173 all out. 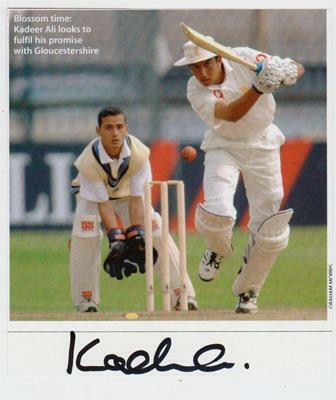 Signed Colour magazine pic batting. 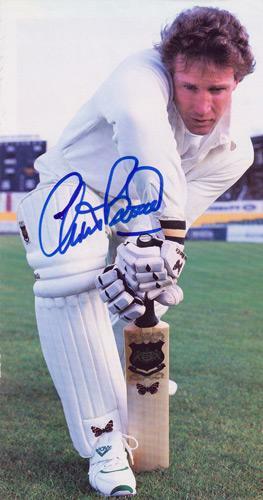 England One Day action pic. 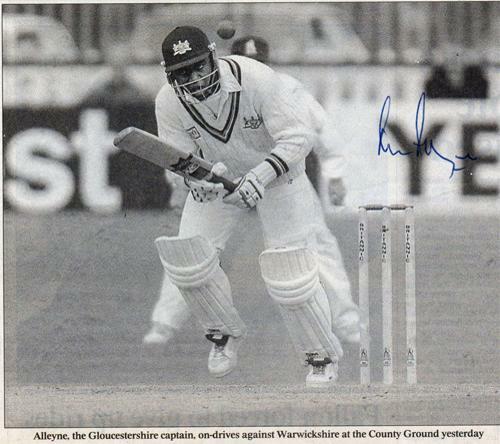 Signed Newspaper B&W action pic - batting against Warwickshire. 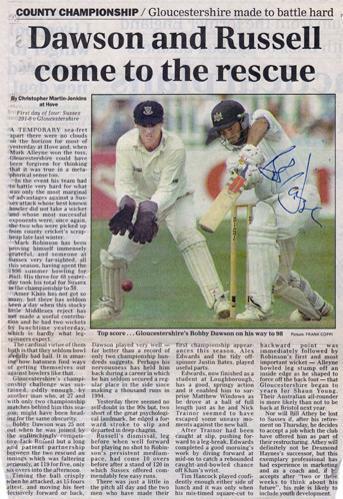 Signed 1998 Newspaper match report / article and action pic. 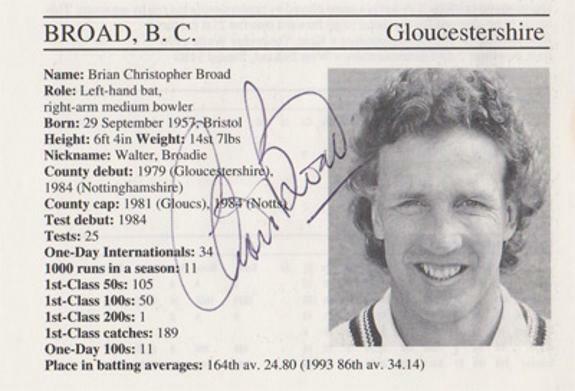 Gloucs beat Surrey by 2 wickets in this Championship game at Cheltenham. 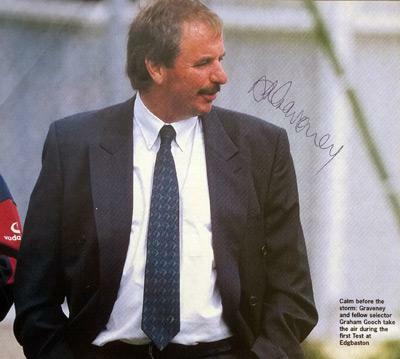 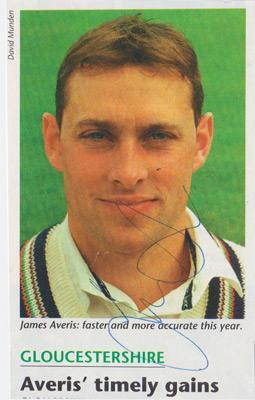 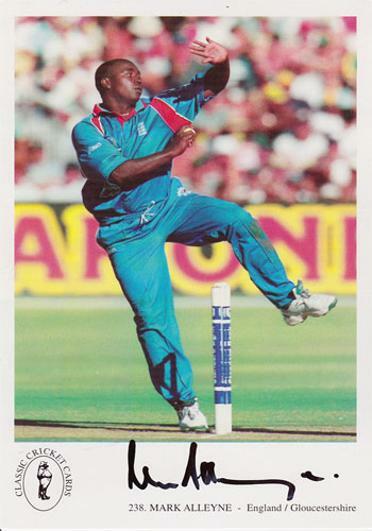 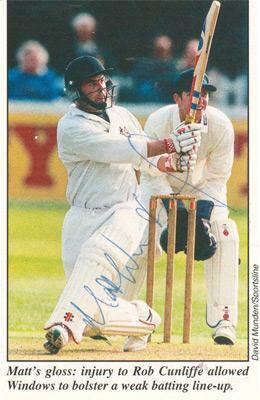 Signed 1995 Cricketer Who's Who bio entry & portrait pic. 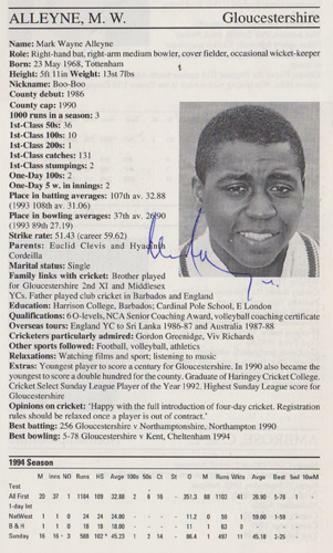 Signed Cricketer Who's Who bio page & pic. 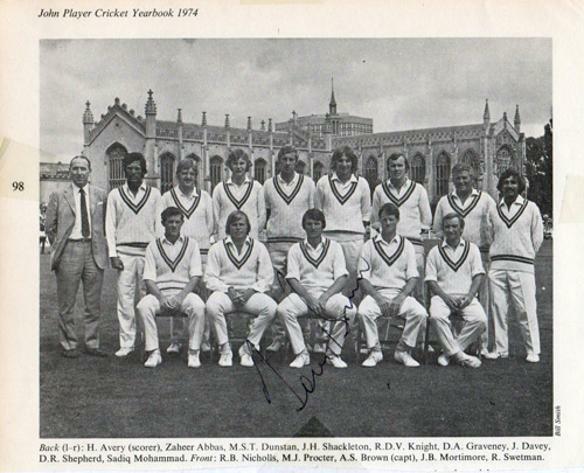 Signed 1974 John Player League Cricket Yearbook team pic. 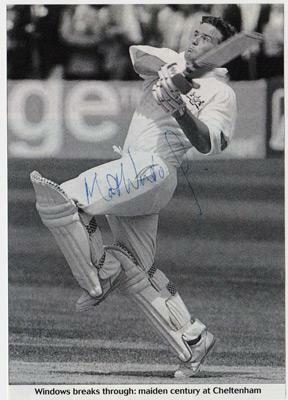 Signed newspaper colour action pic - batting v Sussex and scoring 98 + match report by Christopher Martin Jenkins from Hove. 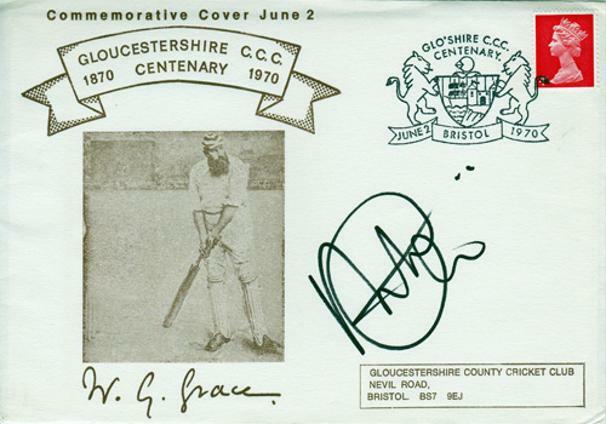 Signed 1970 Gloucestershire CCC Centenary Commemorative FDC. 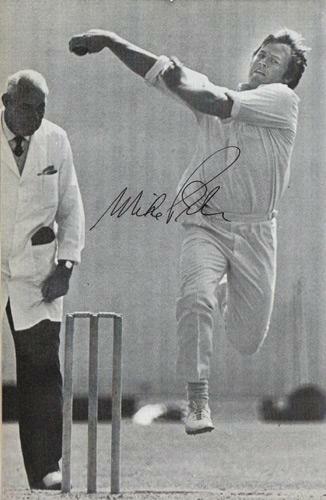 Signed magazine article "Player's View"
"Grab it and Take control". 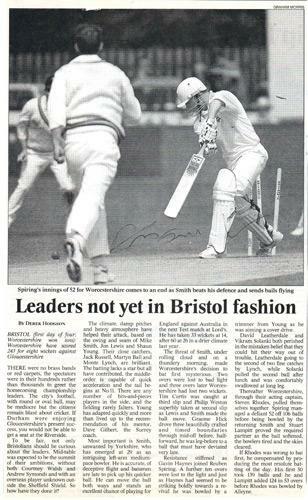 Signed B&W newspaper action pic batting against Notts CCC at Bristol. 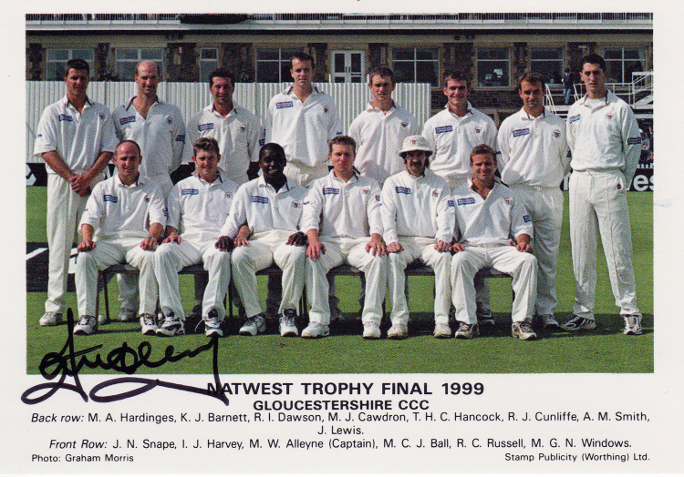 Signed 1999 Nat West Final team pic card. 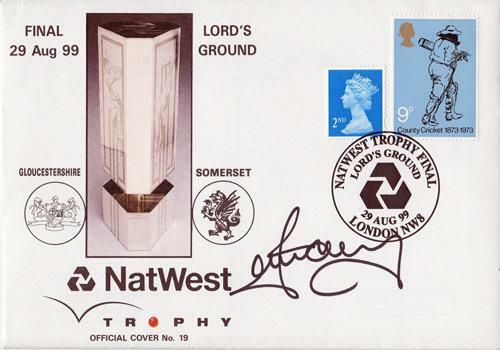 Signed 1999 Nat West Final team Official First Day Cover. 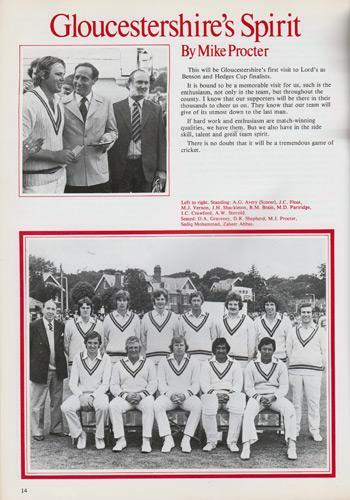 Signed "Wisden Cricket Monthly" County round up feature & pic. 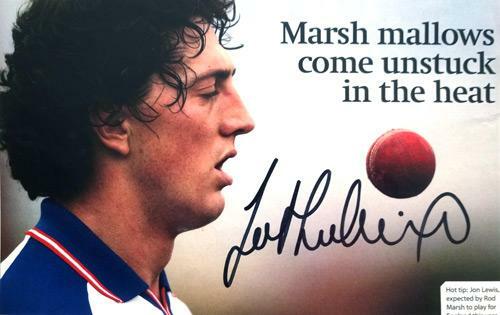 + Test Match Career record. 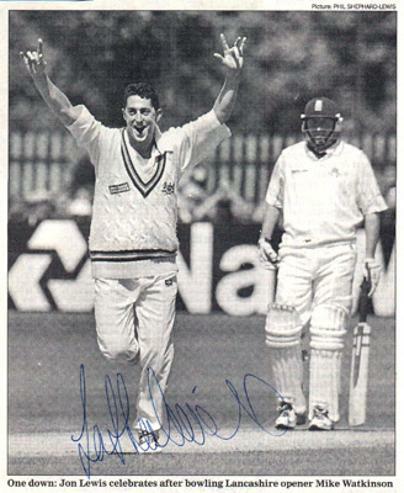 Signed B&W action photo of him celebrating after bowling Lancashire Mike Watkinson. 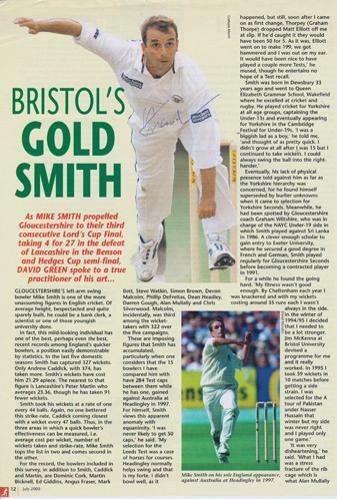 Signed colour magazine pic / article. 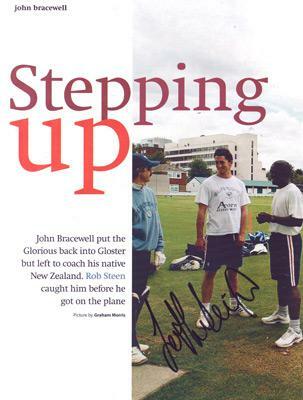 Signed colour magazine pic / article "Stepping Up". 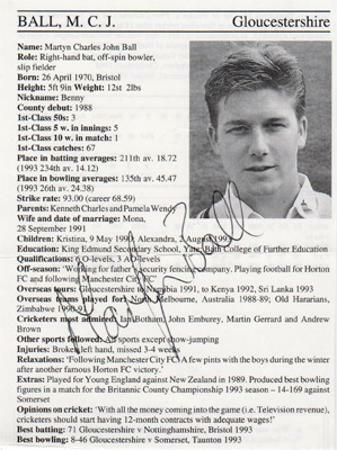 Signed Cricketer's Who's Who bio career page and B&W portrait pic. 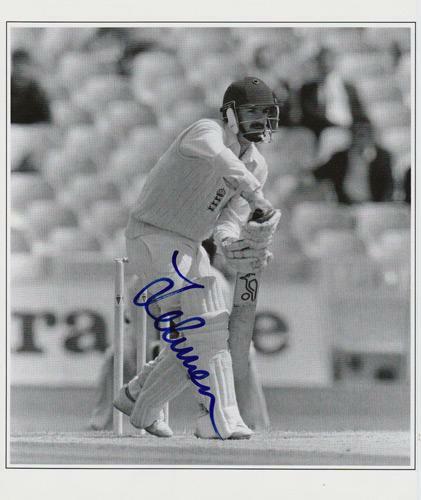 Signed B&W action pic batting for England. 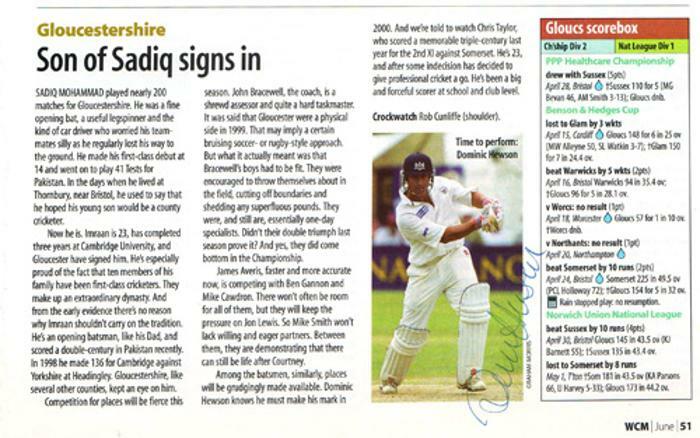 Signed The Cricketer magazine July 2000 preview feature on the Benson & Headges Final at Lord's. 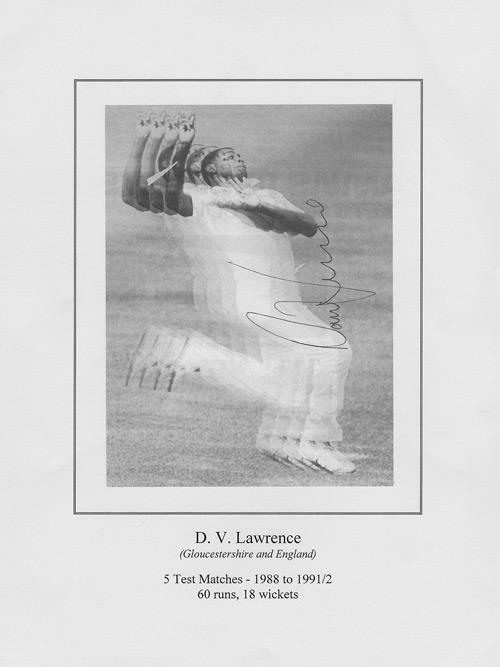 Signed B&W magazine action bowling pic. 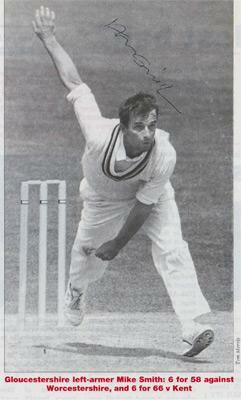 Signed B&W newspaper page - action bowling pic & match report v Worcs. 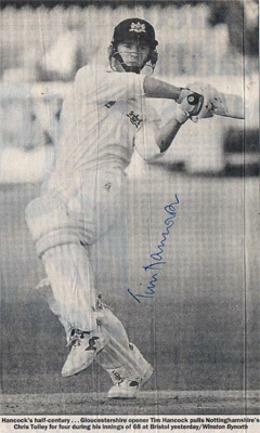 Signed B&W newspaper pic scoring his maiden Championship century. 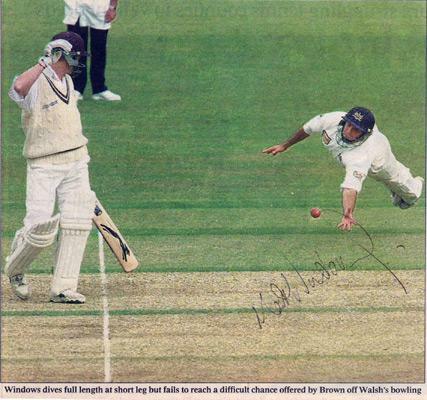 Signed Colour newspaper pic fielding against Surrey. 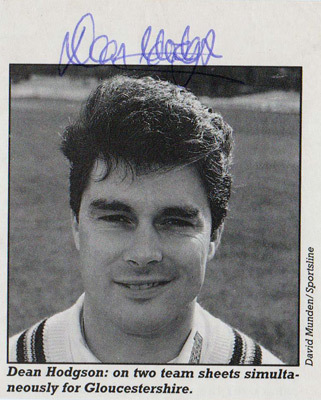 Signed 1995 Cricketer's Who's Who bio career entry and B&W portrait pic. 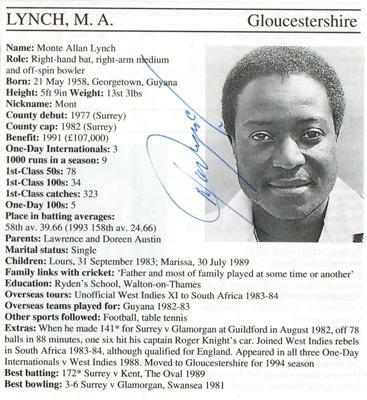 PLEASE USE THE "CONTACT US" FORM FOR FURTHER INFO.